Spring is in the air—and warmer temperatures are just around the corner. A thorough cleaning of your home not gives you a fresh start to the season, it’s an opportunity to improve the energy efficiency of your home. 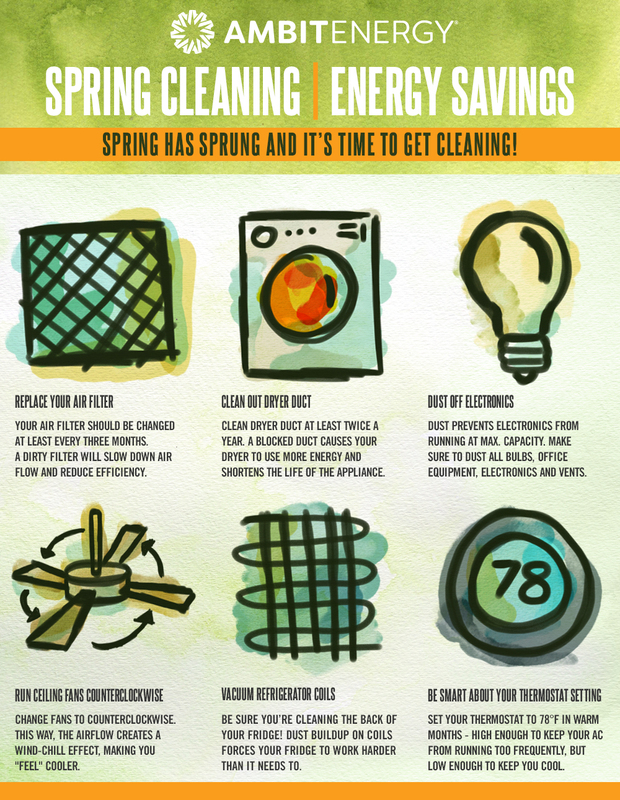 Check out this infographic from Ambit Energy to learn more about an energy-saving spring cleaning.